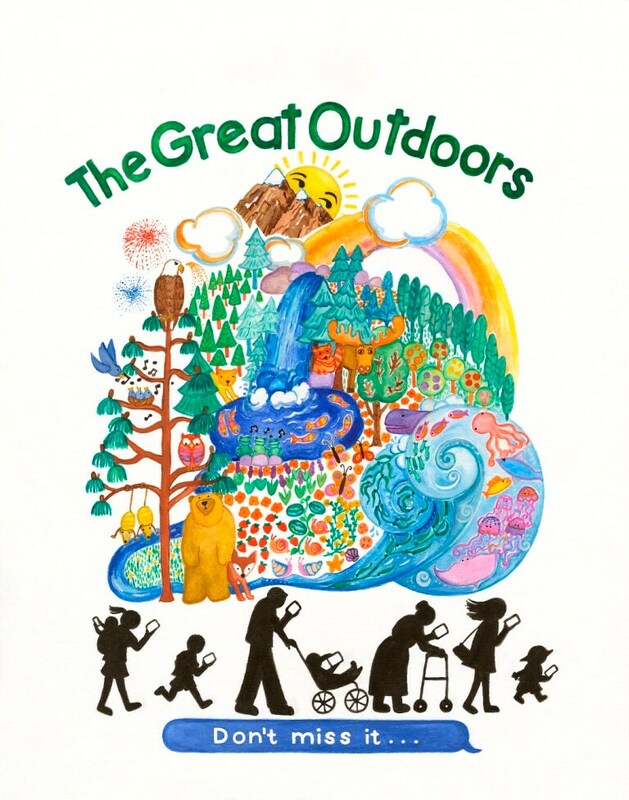 The Great Outdoors - Don't Miss it, print from original watercolor painting. A reminder for everyone, little ones to older ones, to put down the phone and enjoy the beauty around you. What's so important anyway? Archival quality print on matte finish photo paper, 11 x 14.